Our on-site Laboratory is in operation 24 hours daily, and performs a wide range of routine and emergency tests, utilizing state-of-the-art equipment. Our blood transfusion service uses a unique banding system for positive patient identification, and obtains 100% of its blood and blood products from the American Red Cross. Friends and relatives of transfusion recipients are encouraged to donate replacement blood through the Red Cross, and pre-surgery autologous (self) blood donations can also be arranged. Patients scheduled for outpatient surgery are required to come to the Laboratory within three days prior to surgery for laboratory tests ordered by their doctors. Our Radiology Department is a fully-staffed, diagnostic facility. We provide for an array of services, from basic X-rays, angiographs, to state-of-the-art CAT (CT) scans. X-rays are one of your doctor's most valuable tools used in diagnosing your condition. All X-ray examinations are requested by your attending physician, and the results are reported to that doctor. A broad range of diagnostic procedures are performed in the Nuclear Medicine Department. Preparation is not required for most procedures, and diagnostic nuclear medicine studies usually deliver less radiation than comparable X-ray procedures. In this procedure, echoes from high frequency sound waves are used to study the dimension and movement of the liver, kidneys, and other anatomical structures. The results help to pinpoint specific abnormalities and malfunctions. Relief of Pain related to muscles and joints. 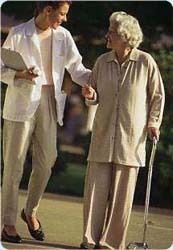 Return Patients to activity of daily living at their maximum potential. We adapt our treatments to the individual needs, with respect to the patient and family's emotional, spiritual and cultural needs. therapeutic exercises to improve strength, mobility and balance, with emphasis on patient and family education to ensure continuation of care and patient's safety. variety of modalities and pain control devices geared to reducing pain and debilities. This laboratory provides specialty procedures to test the cardiovascular system. These procedures are available to inpatients and outpatients. The EEG records brain waves produced by the brain's electronic impulses, and is helpful in diagnosing various injuries involving the muscles and nerves. Both of these procedures employ sophisticated electronic instruments. The Cardiopulmonary Laboratory is staffed 24 hours per day by qualified Respiratory Therapists, providing electrocardiograms, blood gas studies, pulmonary function studies, stress testing and a variety of additional services. These services are also available to outpatients. Dialysis is a service provided to patients with renal disease. This procedure cleanses the blood when the kidneys are not properly functioning. This is a special sub-acute unit for patients who are neurologically challenged. Using an interdisciplinary team approach, the unit provides comprehensive services. The G.I. Laboratory provides inpatient and outpatient services to diagnose, treat and manage patients with gastrointestinal disorders.